Flamingos take over the urban space in an illuminated migration. These stylised birds reminiscent of the formal simplicity of origami had settled in Lyon. 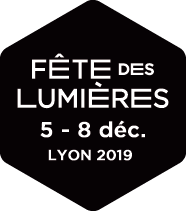 Without making any noise and with energy efficiency, they have taken up residence in the trees of the Jardin de Plantes for the duration of the Fête des Lumières. Delightful!